Spring is upon us, blackberries are budding with cute white flowers and its time to do some cleaning. 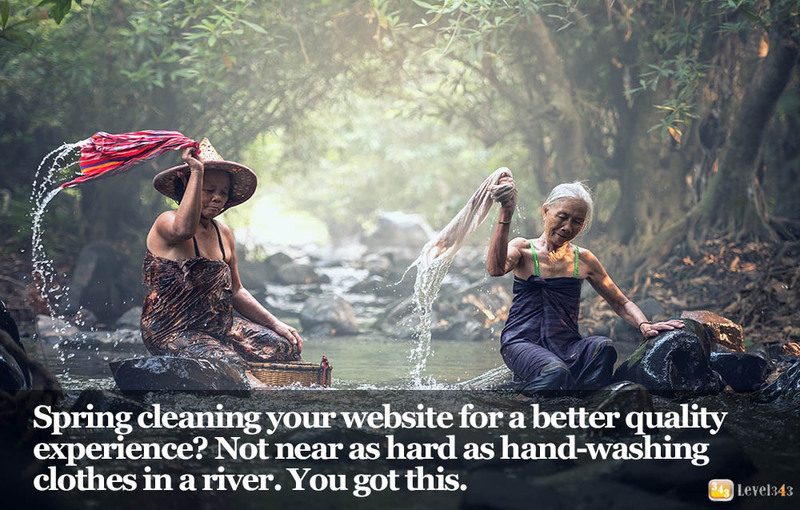 If the spring cleaning bug has made your fingers itch, you might want to direct some of that energy towards your website quality. When was the last time you checked to see if you have any broken links? How long has it been since you knew your website’s conversion rate? When did you last check to see how many pages of your site were getting indexed? How long ago did you last review the sitemap you have for visitors to make sure your page list isn’t outdated? When did you last look to see if the sitemap you have for search engines was in good repair? How long has it been since you checked to make sure your blog feed was working and sending out correctly? If the answer is six months or more on any of the above questions, you have some work to do. Just like your house, your website can (and will) gather clutter as the years go by, so it’s good to look it over at least every six months and make sure you’re still on track. This isn’t just about site optimization, it’s also about site quality, and the following information can help with both. Website optimization is more than just making sure you have the right key terms, although that’s definitely a part of it. Overall, it’s making sure your site provides the best experience possible – for visitors and search engines. This is why website optimization should always start out with an audit. That audit should focus on all areas of your website, beyond content and terms. It should also focus on technical aspects. If you haven’t checked your ranking in the search engines lately, do so. If you have a rank tracking program, great. If not, go ahead – type in your keywords in the search bar (Chrome’s Incognito is a good place to do this). Is your ranking better or worse than it was last year? If it’s better, your site optimization is in good health. If it’s worse, this is an area that can use some help. How old is your content? Has it been around since Ronald Reagan? If your content has cobwebs, you’ll need to make sure it’s still relevant. If it’s not, it’s time to – you guessed it – work on your content. There are several options. You can add new articles and pages, rewrite the ones you already have to keep your content fresh, or use the ones you already have to create different forms of content (this is called “repurposing“). The best choice, however, is all three. Again, look over your code and web page. If you have headers, make sure they have the header attribute (h1, h2, h3, h4…) and that your keywords are nicely (and properly) nestled in the text. Remember that headlines work logically. For instance, the only main headline (h1) on the page should be the page title. Only subject headlines should be H2, etc. Think of it like an outline, with each header being a part of the outline. If you can’t properly nest your headlines into an outline, you need to update how your pages display. Slow loading pages are one of the main reasons visitors don’t stay on your site. Nobody wants to wait for what seems like hours to look at a web page, no matter how interesting they think it might be. One of the main reasons for slow site speed is the size and amount of images. If you have a lot of images, chances are that your site is loading slow. A website auditor program such as Screaming Frog SEO can help with finding out which pages are slow and which aren’t. Nothing is more irritating than clicking on an interesting link, only to be led to the “oops” page. Check your links; if you have a links or partners page, go through and see if any have disappeared or moved. Also, as time goes by you may add pages and take them away. In this case, you want to make sure that the pages you’ve taken away no longer have links leading to them. There are two places to look for broken links: internal links, from a page on your site to a different page on your site, and external links, from a different website to a page on your site. Screaming Frog can help you find broken links on your site, and Google Search Console can help you pinpoint inbound links leading to broken pages. As you take pages away, sometimes all people do is remove the links from other places on the site. This is especially prevalent on websites that aren’t built on Content Management Systems (like WordPress, Magento or concrete5). It means you now have an orphaned file sitting on your server; orphaned files have no links to them at all. These types of files can fill up server space, making your server respond more slowly, or fill up your database (if you’re on a CMS), making data retrieval slower. If you don’t need the information, remove it. With a little bit of patience and time, you can once again have a clean, smooth site by paying attention to these key areas. And if you come across something else while you’re working (which you probably will), take the time to fix those, too. 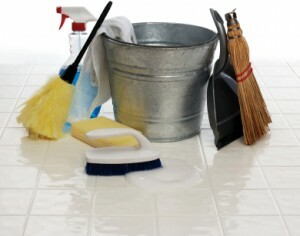 Remember, a healthy site is a happy site; Happy Spring Cleaning! 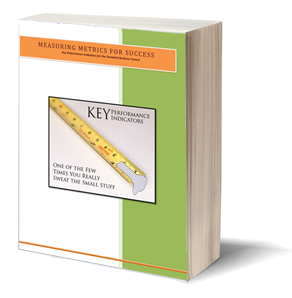 If you need help with your optimization or just need a guide on the path, give us a call. We’ll give you as little, or as much, assistance as you need to help make sure your website is a success. No Illuminati required.